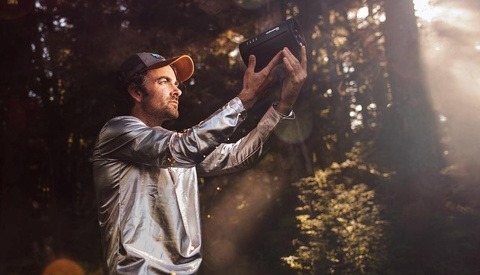 A few months ago, we released our first impressions of the new Profoto B10 portable flash unit, and many of our readers claimed that we didn't give it an honest review because it was wildly overpriced. Today, we are giving the critics what they asked for: we are going to compare it to the Godox AD400Pro. Both of these flashes have more similarities than differences. They are both compact, battery-powered flashes that can also be plugged into AC power. The true differences are found in the details, and we have compiled the most detailed comparison in Fstoppers history. Let's get to it. There's no doubt that the Profoto B10 has superior build quality when compared to the AD400. The shell feels thicker, the buttons feel expensive, and the screen on the B10 is color. The AD400 feels more hollow, and the buttons feel more flimsy. This should come as no surprise. This is another easy win for the Profoto B10. The AD400 is much larger, almost twice the size, in fact. The B10 weighs 3.3 lbs, while the AD400 is 4.63 lbs. Once again, the Profoto B10 is the clear winner. The B10 only has three buttons on it, and anyone could pick up the light and figure out how it works without reading a manual. The AD400 has many buttons and a much more complex menu system. If you buy the AD400, you'll probably want to read through the manual. Both flash batteries can be charged while they are being used. This is a huge upgrade from previous flashes that required the battery to be charged separately. The Godox AD400 has a Bowens style mount built in, but Profoto, Broncolor, and Elinchrom accessories can be added to the front to work with any accessories you may already own. This is a massive value and makes the AD400 the most versatile light we have ever tested when it comes to accessories. Obviously, the B10 can only accept Profoto modifiers, which happen to be some of the most expensive in the industry. The Profoto B10 battery is significantly smaller, but it actually holds a larger capacity and is capable of producing 400 flashes at full power, while the AD400's battery can only fire 390. Perhaps the most important question that every photographer is going to ask is: "which flash is more powerful?" In order to accurately test this question, along with many of the other tests that follow below, we ordered a Sekonic Speedmaster L-858D light meter. We then set up a single light stand eight feet away from the meter and ran both the Godox AD400Pro (with Profoto mount) and the Profoto B10 flashes through their entire power range. On every test that follows, we recorded each flash pop three times for redundancy and averaged the recordings (in most cases, all three recorded values were exactly the same). For our own curiosity, we also tested a few other flashes including the Profoto D1 1,000Ws, the Profoto B1, the Godox AD200, and the Yongnuo 568 EX for Nikon. It should be noted, we ran all of these tests with the older Profoto B1 and not the newer Profoto B1X, which Profoto claims to be slightly more powerful. 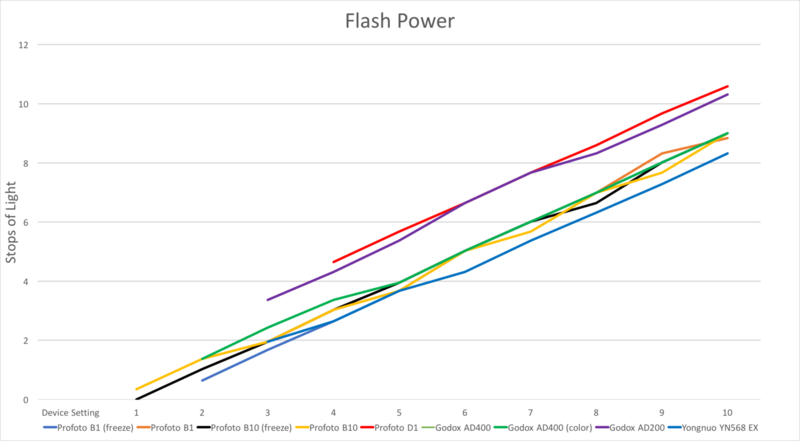 Here is the data from all of the power settings on every flash we tested. As you can see from the raw numbers above, the Profoto B10 and the Godox AD400 registered exactly the same flash output at full power. As we stopped the flashes down, their output levels almost match perfectly especially when the Profoto was set to normal mode. Of course, the Profoto B10 also goes down one more stop than the Godox AD400, which can be nice when trying to balance flash with low-light, high-ISO environments. It's also interesting to note that both the B10 and the AD400 also appear to be the same power as the Profoto B1 (again, note that our units are the older B1 and might be less powerful than the newer B1X). One big conclusion we noticed with this test was that the power levels between full stops of light were not as even as we would have liked. From the data above, we plotted every recorded value and found that very few of the flashes we tested showed a constant power change when we dialed the flashes up or down one stop on their LCD. The only flash that did have a perfect increase of one stop between settings was the Profoto D1, which you can see from the straight red line on the graph below. We wish we would have found a straight line between each stop of light and each full stop setting on the flash. Instead, what we found was a lot of variance along our graph lines. What this means is that sometimes, when you power down a flash by one full stop, you might be removing more than a stop of light or you might actually remove less than a stop of light. If you look at the yellow Profoto B10 line and the green Godox AD400 line above, you can see that neither one of them is as perfectly straight at the red Profoto D1 line. So while it is nice that both the Profoto and Godox flashes let you adjust the power setting in 1/10th increments, from our tests, none of these power adjustments are all that accurate. The D1 was the only flash out of the entire group that showed accurate power levels. There is a lot to take from this test, but our overall conclusion is that the Profoto B10 and the Godox AD400 produce the exact same exposure at full power, but the B10 does give you 1.36 stops more stops over the entire range of the strobe. Obviously, this is happening at the lowest power levels of the flash, but that could be useful depending on what type of flash photography you are doing. The other major conclusion it leaves us with is that unless the newer Profoto B1X is a stop more powerful than the older B1, there really isn't any reason to buy the older Profoto B1 over the new B10. Another test we wanted to run was a flash duration test. Flash duration is the length of time in which a flash can deliver all or most of its power load. This is important, because if a flash delivers its load too slowly, it starts to act like a constant light and loses its ability to freeze action. 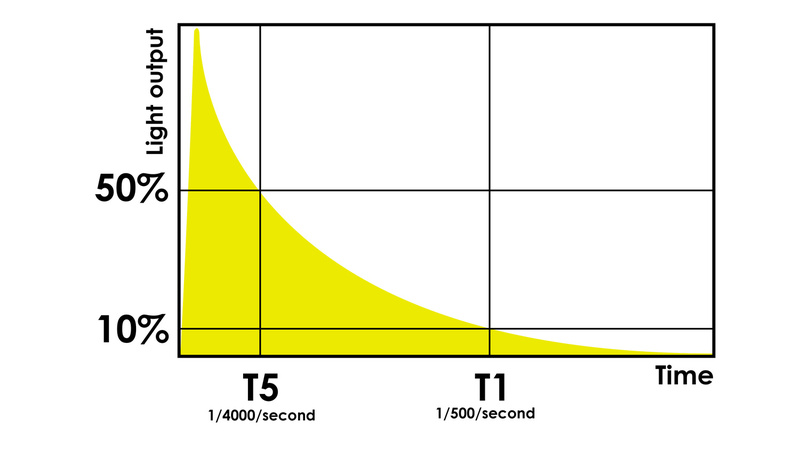 Flash durations are typically measured by two standards: t.5 and t.1 times. Many flash manufactures use the more forgiving t.5 time, because it produces faster flash duration values, but without getting into too many specifics, t.5 times aren't the best measurements, because a portion of the unrecorded flash load still might make an impression on your overall exposure. You can see from the image below just how much flash still influences your photograph after the t.5 time has been measured. As you can see from the test above, the Profoto B10 flash was about twice as fast as the Godox AD400 at full power. At 1/2 power and lower, the Godox AD400 was about the same if not faster than the Profoto B10. However, when the B10 was placed into Freeze mode, the Profoto came up as the clear winner throughout the entire flash range. It's a well known fact that speedlights produce extremely fast flash durations, especially as you lower their power down. What's interesting is that at 1/128th power, both the Yongnuo flash and the D10 are about the same power (f/1.1 in our tests) yet the D10 has about a stop slower flash duration than the cheaper speedlight. The D10 can get as fast as 1/15,900 of a second, but the power has to be at its lowest 1/512th setting. If you compare the D10 to the Godox AD200 speedlight at 1/128th power, the AD200 actually has 1.4 stops more power with the same 1/15,900 flash duration. So, in some ways, if you need the fastest flash duration possible with the most power, a smaller speedlight actually outperforms the larger flashes. Keep in mind, these lightning-fast flash durations are only really necessary when shooting fast moving objects or freezing water splashes. Between the D10 and the AD400, we have to give the Profoto the win here, but depending on what you are shooting, this test may or may not be a major factor in deciding which flash is best for you. One test that we failed to add to our video was the high-speed sync test. High-speed sync, or HSS, is a mode that will allow you to shoot beyond your camera's maximum shutter sync curtain by rapid firing the flash to act as a constant light. Typically, on most cameras, this hard limit is around 1/200th of a second, and if you shoot past this shutter speed, you will start to notice the black shutter showing up in your photographs. Since both the Godox AD400 and the Profoto B10 allow you to shoot in HSS mode, we wanted to know if either of these flashes gave you more bang for your buck, so to speak. What we found from our tests is that the AD400 gave us about 1/3rd a stop more power than the B10 with a shutter of 1/4000. We also noticed that the older Profoto B1 actually gave a full stop more power than the B10 in HSS mode and about .6 stops more power than the AD400. Another strange result we experienced was that when we stopped the AD400 down a few stops in power, our light meter continued to give us lower and lower readings, while it was not able to give us any readings on the B10 below full power (hence the "under" value). If the Godox values are accurate, it also means that for every stop you lower the AD400 flash, you actually only lose 1/2 stop of light, which seems a bit strange. I was also interested in seeing how much light was lost between shooting at full power on both flashes versus full power in HSS mode. Both flashes recorded values at around f/12 at full power at ISO 100 and 1/200 (normal sync), while they both recorded values at around f/1.6 at ISO 100 and 1/4,000 (HSS mode). If you do the math, this shows that you lose about a full 2 stops of flash power when shooting in HSS mode versus shooting at your camera's normal max sync speed. We will probably do another video on this topic, but this should prove that HSS mode does not help you "overpower the sun," but actually gives you a handicap when trying to overpower the sun. The real reason to use HSS mode is to keep your aperture wide open while shooting outdoors with flash. If you truly want to overpower the ambient light, your best bang for your buck is to set your camera at 1/200th of a second and stop your lens down to f/8 or more. This will always give you more power from your strobe at the expense of having a sharper background. Overall, I'd say both flashes perform about the same in HSS mode, so I don't think there is a clear winner here. One of the biggest advances found on the new Profoto B10 is it lets you color balance the LED modeling light. This is super useful if you shoot video and want to use constant light with all of the light modifiers you already own. It's also handy if you want to shoot natural light photos and add constant light to your scene. The Godox AD400 also has a powerful modeling lamp, but the color cannot be changed to balance between incandescent and daylight white balances. 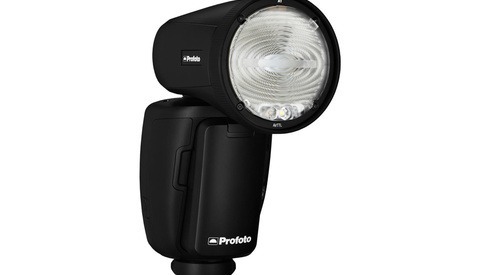 In this regard, the Profoto B10 is the better option for a useful modeling lamp. As you can see, we not only tested the B10 and AD400 in this test, but we also added our favorite hot light, the Feliix P360 light, as well as our favorite small LED panel and the tiny waterproof Litra mini LED light. We also tested the Apple iPhone's led light, but it was not bright enough to register a value at all. From the results, the AD400 light is 1.2 stops brighter than the B10 led light, but that is to be expected since the B10 light is bi-color, and that probably takes away a full stop of light from the array. Just comparing these two lights, I'd say the B10 is still the better option if having a usable bi-color LED is important to you, but for us, we will still use our Feliix P360 light in the studio when filming video. Now that we have all the super technical tests behind us, we wanted to find out which flash had the faster recycle rates. This is important to any photographer who has had to shoot fast action back to back outside with full-power flash bursts. If a flash is too slow to recycle, you will get uneven exposures at best and a completely dark subject at the worst. Even though Profoto claims to have a full recycle time of 2.2 seconds, we found it to be closer to 1.7 seconds between each full-power flash pop. For the Godox flash, we found the AD400 to recycle at roughly one second, even though they advertise 0.9 seconds. So, clearly the Godox is slightly faster, but we found both flashes to be extremely fast at less than two seconds each. If you are shooting catalog work, events, headshots, or standard portraits, the recycle rate of either of these flashes shouldn't give you any issues, but if you are shooting fast-moving sports where you need to blast through 3-5 frames per second, you are probably going to want to buy a much more powerful studio power pack to guarantee every photo is exposed evenly. In the end, we have to give Godox credit for having a faster recycle time than the Profoto B10. One of the biggest complaints I have heard about cheaper flashes is that they do not show color consistently between consecutive flash pops or among different power settings. For this test, we abandoned the Sekonic light meter (although yes, it can measure white balance) and instead just did a simple eyeball test by taking photographs. For the first test, we wanted to see if the color temperature between the Profoto B10 and the Godox AD400 changed as we blasted through 20 images back to back. We used the Fstoppers Flash Disc as a gray card reference. To our surprise, the color accuracy between every flash fire was identical on all power settings. That's pretty impressive for both units. For the second test, we wanted to see if the color temperature changed as we went from full power to the lowest power. Once again, both units showed pretty constant white balance color, even though the exposure varied a bit between each setting (as mentioned above, one stop down doesn't always equal one full stop output). As you can see in the animation above, we did find a lot of color variation with the Profoto B10 when the unit was placed in Freeze mode. This mode allows those lightning-fast flash durations, but at the expense of accurate color. You can clearly see the flash gets bluer as you lower the power setting, but retains pretty accurate color balance from full power down to about 1/16th power. The Godox flash did not experience any major shift in color regardless of the color mode it was set to. The Profoto might be slightly more accurate in color mode, but you might actually prefer getting the more accurate color and shorter flash duration of the Godox in freeze mode. Technically Profoto may be slightly more accurate by an extremely small margin in color mode but you could also make the argument that the Godox is a more well-rounded flash because it has extremely accurate color while in freeze mode. 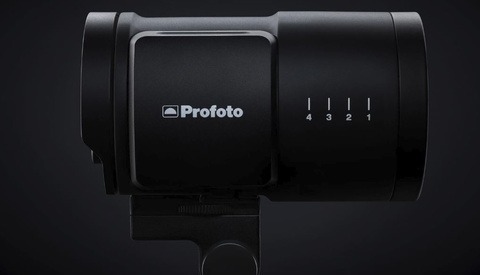 We gave the technical win to Profoto the video but this is certainly up for debate. The remotes for both flashes are pretty similar aside from one major missing feature on Profoto's. The Godox XPro remote shows the output of the flash on the remote, while the Profoto doesn't. You can still control the power output up or down, but the remote itself doesn't display what the power output will be. The B10 does also have Bluetooth and can connect to a smartphone via an app that can control and show you the power output of the lights. This is a great feature, but we would rather have had this information show up on the remote. Surprisingly, both remotes have an incredible range that became unreliable at the exact same distance. From our tests, both units worked at an insane distance of about 500 feet. We could never get other radio triggers to fire reliably even half of this distance so this is a dream come true in wireless triggering. We have not personally looked into Godox repairs, but we have heard many people claim they are disposable in the sense that you won't be able to have them repaired in the US. Profoto does have a warranty and a local repair facility so it's nice to know you can always send your gear to them for repairs in the event something malfunctions or breaks. If the Profoto B10 cost a few hundred dollars more than the AD400, I think it could be easily justifiable, even to photography enthusiasts, but it doesn't. The B10 costs $1,600, while the AD400Pro is $650. The Profoto remote is $420 and the Godox remote is $70. The Profoto battery is $200 and the Godox's is $170. If you bought a flash, remote, and extra battery, the Profoto package would cost $2,200 while the Godox would cost $890. That's 40 percent of the cost. The Profoto B10 is a better flash by a small margin in the most important tests, but in some categories, the Godox was the clear winner. The fact that the AD400 can be outfitted to accept modifiers from four different brands makes it extremely versatile. Perhaps the most impressive feature was the Godox remote that had a similar range, more features, and was 20 percent of the cost of Profoto's remote. For the majority of people reading this, the Godox AD400 is the obvious choice. You're getting a Profoto B10 in a larger package for a fraction of the cost. If it breaks, you'll literally be able to buy another one, and you'll still be saving money. But, if you're a professional photographer, and you're willing to spend more than double the cost to have similar technology packed down into a significantly smaller, much higher quality package, you're still going to love the B10. You just have to realize that you are paying a premium for a luxury item that will probably have no effect on your actual photography... but, that goes for basically any piece of new gear. Really great review, Lee. The only thing I'd have liked to see is a bit more research in the "Warranty and Repairs" section. The Godox AD400 Pro is sold by Adorama and B&H and both those stores have great warranties. My friend had his Xplor 600 TTL (Godox AD600B) fall hard recently and even though it was out of warranty Adorama replaced it no questions asked. Cheetahstand used to repair these lights for years and I believe they still do for the older models, but not sure about the newer ones. If it's true that you can drop the Godox and they will give you a new one, that is the best warranty of any flash on the market. I can't find info on that online though. It's not much but I can ask about warranty experiences in my lighting group and report back here both the negative and positive. I can tell you for one thing that if you buy directly through Godox that warranty will be not worth much. It's crucial ordering through resellers (B&H/Adorama or even Flashgear/GoMoLight) if you can. Isn't it misleading to test the flashes without modifiers? The Profoto has, essentially, a built in beauty dish, while the Godox is throwing considerable light out the sides. In fact, most of the light from the unmodified Godox is not even reaching your light meter. You actually identify this very phenomenon in the footnote of the AD200 for having a Fresnel head--it makes a very considerable difference! Why do you call out the Godox AD200 for this, and not the Profoto? The Godox comes with a beauty dish too, just because the Profoto dish can't be removed, shouldn't be an advantage. Does anyone use a light of that style without a modifier? Testing the Godox with it's included beauty dish would have been a much better, and more accurate, test of the useful power output. Also, the rating system could be improved. It would be more accurate to count the tied points, not just the winners. If a two products were tied for 8 points, and one won by 2, the apparent score of 2-0 isn't accurate or representative. We did all our tests with the Profoto adapter for the AD400 so no light was being cast to the sides. It was all being thrown forward the exact same way the recessed Profoto bulb was casting light. Thanks for clearing that up. Might be interesting to see a shot of the output pattern on a wall or something. Lee Morris comments below "We tested them without a modifier." I did the tests. He means we didn’t add a beauty dish, grid, softbox, etc. We did the tests with the Profoto mounting adapter on it exactly as you see it in the video. I do not think that you achieved a fair comparison. You may conclude that the AD400's Profoto adapter isn't very efficient in redirecting all light forward, but I don't think you have shown that the B10 and the AD400 generate about the same amount of light. I bet that if you ran the test using a softbox (where they'd be typically be used), the total amount of light coming out of the softbox containing the AD400 would be quite a bit higher. It would have a better quality of light as well. We tested them without a modifier. I think the b1x may perform more like a true 500watt light but the b1 performs like a 250watt light. I think Profoto advertises that the b1x produces more light than the b1. Politely correcting. I have both b1’s and b1x’s. The “brighter” they were referring to is the modeling light. And the “more power” they were referring to is the “more power” in the battery for more shots per charge. Everyone was pissed when in fact it had the exact same output, so a little misleading on profotos part. I’m planning on doing some output tests in a chimera beauty dish tomorrow with a b1, b1x, and B10 and will report back. Ahh very interesting. I’m not sure then. Lee, You may want to edit the written review here. Otherwise, it appears unresearched. Geez, that is a bit of a bummer. My thoughts after running these test was that there really isn't a reason to own the B1s since the B10s are the same power in a smaller form factor with AC power options built in. The only thing the B1x seems to do better (we haven't tested) is full power flash pops with a single battery. Maybe we need to sell our B1s and buy B10s as well. Why would you think the B10 is the same power as the B1? I would love to sell my B1s for smaller lights but so far this is not what has been reported. Is only 1/3 stop lower than a b1? This is interesting. Do you mean handle on the back like the B1 or AD400? I guess that does help with angling the light a bit but if you place your hand at the base of the speed ring I dont' think you'd have issue balancing out a large octabox. I'll have to mount a 5 or 7' bank to our B10 and see how it performs. You can get the Godox X1T trigger and save another $25. Perhaps lesser ergonomics, but almost the same functionality. Who is shooting 80 full power flashes in a row to the point of the unit over heating? If you are shooting action sports with flash, you probably at the very least want a true AC flash if not a 2400 watt pro pack with head. The only situation I've been in where I would even come close to shooting 80 full power flash pops in secession would be wedding family portraits or fashion catalog work and even then I'd still probably have 2-5 mins dead time between every 20-30 images. I'd also probably have more flash power so I'm not having to fire full power on any single flash. I checked the Godox manual, its acctualy 50 flashes in HSS and with TTL added I suppose less. The manual says it will turn on heating protection after 50 images, does not say how fast or slow between images. I understand that 50 might be a reasonable ballpark for light use, but as you say for a fashion or action photographer that limit might not work. I know some of the more famous fashion photographers are shooting like a wild kid with new motordrive on camera, for a reason. When it comes down to speedlight the limit is much lower, so I think its an issue. I might be of bad judgment thinking that 50 images are a restrain on my creativity? However I did not bring up shooting style but the fact there is a limit on Godox witch I think people shuld know about, and there must be on Profoto to. Neither Profoto or Elinchrome gives any information about that so you need the gear to test. As you do not want to test ypur B10 for this I expect it does not perform remarkable, leaving the ELB 500 as the most likly best chooice if you want something that will perform longer in HSS. So as far as HSS you might say both Godox and Profoto are on the same toy level as a speedlight, but performering better. I just came here to say I think it's funny that your spell check changed Profoto to Profiting. Same here. I sold my amazing Einsteins because the AD200's just about do all the work I asked them to. I would buy two more if I ever need more but with five extra Godox speedlights (and three Nikon's) I do not think I will need anymore lights. The AD200's are an exceptional value and quality. Not to be splitting hairs but you mentioned both can be charged and used at the same time but strangely gave Profoto the advantage? Why? Again, color consistency, as per your test, was accurate for both when Godox was the winner when changing from freeze to normal mode, why then giving Profoto the advantage? Anyway, it seems they kind of equal at the end. However, it is wrong to say that Godox is for beginners and Profoto is for advanced pros. It comes down to how much money you want to spend (and not how much money you have) Every business owner has to look at the expense rather than "I like the shiny stuff'. No matter how much money I made or had, I would not buy Profoto. When buying into an expensive system like Profoto or Apple, you are locked in a vicious circle of money drainage. From accessories to upgrades you end up paying an absolute fortune. As for support, you can always buy Adorama brand and have you back covered.